A pipeline or transmission line is defined as that pipe which transmits gas from a source or sources of supply to one or more large-volume customers or to a pipe used to interconnect sources of supply. ASME B31.8 prescribes requirements for the design, fabrication, installation, testing, and safety aspects of operation and maintenance of gas transmission and distribution piping systems, including gas pipelines, gas compressor stations, gas metering and regulation stations, gas mains, and service lines up to the outlet of the customer’s meter set assembly. Also included within the scope of ASME B31.8 are gas storage equipment of the closed-pipe type, fabricated or forged from pipe or fabricated from pipe and fittings, and gas storage lines. 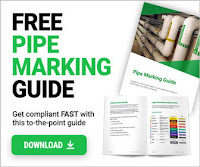 The requirements of ASME B31.8 also apply to the use of elements of piping systems, including but not limited to pipe, valves, fittings, flanges, bolting, gaskets, regulators, pressure vessels, pulsation dampeners, and relief valves. The requirements of ASME B31.8 are applicable to operating and maintenance procedures of existing installations and to the update of existing installations. No edition and addenda shall be applied retroactively to existing installations in so far as design, fabrication, installation, and testing at the time of construction are concerned. Further, no edition and addenda shall be applied retroactively to established operating pressures of existing installations, except as provided for in Chapter V of ASME B31.8.